Pikachu & Friends continue to break records as their augmented reality (AR) reincarnations pop up around us via the Pokémon GO mobile game. The franchise and its latest international rollout offer four significant lessons for global website design and marketing teams. 1. Recognize the limits of localization for their brand. Beginning in the 1990’s, the people in charge of the Pokémon franchise decided to retain and trademark phrases such as “Pokémon,” “Gotta catch ‘em all,” and “Gotcha,” while transcreating the names of various “pocket monsters” to match their characteristics in local languages. For example, “Squirtle” in English becomes “Carapuce” in French. The brand has also had to deal with blowback from dropping a language now and then. Almost every company will face these issues multiple times in their localization journey, so they must be prepared to update their global content strategy as trends and preferences evolve in target markets. 2. Continue to leverage SEO and ASO while gearing up for new marketing opportunities. It’s important to recognize the need for app store optimization (ASO). Fads come and go, but customers always need to be able to find products and services via search – especially in international markets. Not all companies will be able to immediately take advantage of “lures,” in-product promotions, or location sponsorships offered by AR. But one thing is for sure, AR, smartphones, wearables, and the Internet of Things (IoT) haven’t been around long enough for marketers to figure out the best avenues for reaching and winning customers. Therefore, firms should continue to monitor the space for new practices that make sense for their campaigns. 3. Prepare for the down cycle. In many parts of the world, it’s summertime, so people are taking their holidays and students are on vacation. 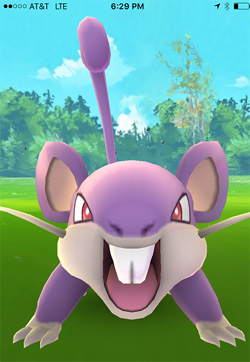 Without discounting the contribution of Pokémon fans in Australia and Latin America, the three companies collaborating on Pokémon GO –– Niantic, The Pokémon Company, and Nintendo –– are preparing for when the novelty of PokéStops and Gyms have worn off to the point that potential players in northern climates avoid putting on boots and gloves to brave cold winds and slush to chase hard-to-find Pokémon. Digital marketers in all companies should be ready with a strategy and tactics to ensure that their customers in local markets remain engaged with their products, and that they can attract new ones to safeguard future international revenue sources. 4. Global marketers must look for new ways to deliver a global customer experience. Pokémon GO has placed augmented reality in the hands of millions of people around the world. At the same time, Google Cardboard offers virtual reality (VR) at a minimal price. These products, along with others, are building awareness of the capabilities of, and democratizing access to, the two technologies. With smartphones slipping into VR headsets to function as screen and processor, more companies will be able to use these solutions to give company tours, provide training, and to allow realistic test drives of their products. Nintendo’s decision to release Pikachu & Friends to be reinvented by their partners serves as a great example of how going global offers companies the opportunity to experiment. Global web designers can play a leadership role in this process by showing their organizations how best to present their brands in digital format for local markets. Rebecca Ray is a senior analyst at market research firm Common Sense Advisory. Her primary research focus is enterprise globalization, social media, multilingual SEO, and global product development.